Q: The Script has been working for 10 years now, and so many new artists rise between the time. How did you manage to stay on the line? A: We make sure to manage our look and hardwork, and we are extremely hard behind the scenes to make sure everything is flawless. We wrote our songs from our heart. And the most important is to love each other. Q: How are you doing after 7 years not coming to Indonesia? A: We missed Indonesia. We love the heat, the moisture, and the food Nasi Goreng. We love it and always order nasi goreng everytime we eat. We are excited that we are here now and we think the concert is gonna wipe away all the missing for 7 years. Q: This concert is your 2nd performance in Indonesia. Do you have any special preparation? A: We will learn some bahasa to speak on the stage, and it works everywhere. With this Freedom Child world tour we want to spread positivity, spread good vibes around the world. And we just have a week free to recharge ourselves before this concert, so the show in Indonesia will going to be big and will be an interactive show. We taking cultural ideas from each country and add it to the show. We can't wait to spread love and positivity of Freedom Child in Indonesia. 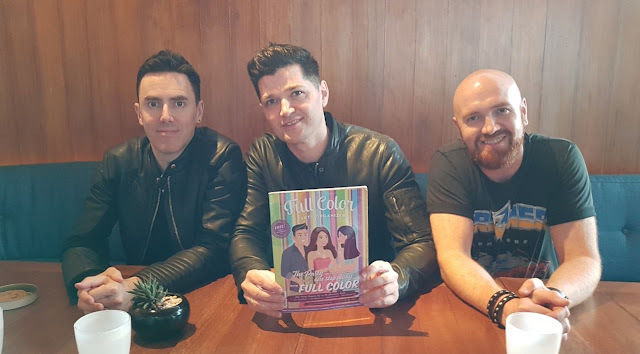 Freedom Child is an important album to us, and we want to share nothing but positive vibes, so we are very pleased to be here. Q: Do you have any ritual before going on the stage? A: Yes of course. We will shake hands to each other right before going on stage. And to clean the energy we drink a little vodka to calm our nerves. We also don't let anybody coming to the dressing room because we want to strech around and warm up before going to the stage. Q: Do you message to Indonesian fans? A: We gonna communicate on the stage, but I think our music says everything. Our new album is called "Freedom Child" because we figure that our freedom is under attack and we want you to have freedom. Freedom to love who you wanna love, freedom of expression, be who you wanna be, say what you wanna say. We feel that this is so important and a very strong message to bringing around the world. We glad that we can name our album with such a great message because everywhere we go we spread the same thing with everybody here. We love to see the word "freedom" everywhere on our CD, poster, t-shirt, merchandise and anything. Q: Do you feel nervous before concert? A: We guess yes, because we are really care that everybody has a good time. I think it's important to get nervous. The day when you don't get nervous then you should give up, because in my opinion it's means that you don't care. Nervous makes you perform better and make you focus. You got to remember like this is the first show. This show became real because of all the fans in Indonesia. They got on Instagram and Facebook and request us to come here. And we answered everybody direct message, we talked about this show quite a lot and they explained to me what it means to come here, and we felt really important. That's our responsibility to all people who will come to the show, we have to make a great job and when everybody leaves the stage they feel happy and enjoy the show. 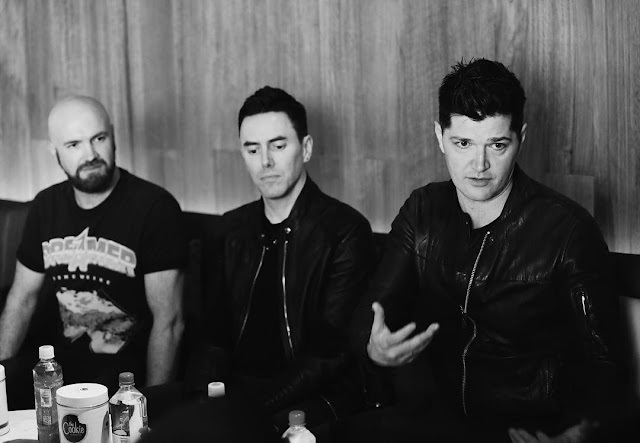 Q: What do you think about The Script Family Indonesia? A: You guys are very passionate. The fans here are the main reason why we are here. We have a massive followers from Indonesia. The fans here are very smart, they all push the button to get us here. It's been a long time we not coming to Indonesia, and we can't wait to meet all on the concert to see the people who brought us here. Q: At first, Jakarta is not in your world tour list. Then, why you choose to have a concert in Jakarta? A: Why we choose? 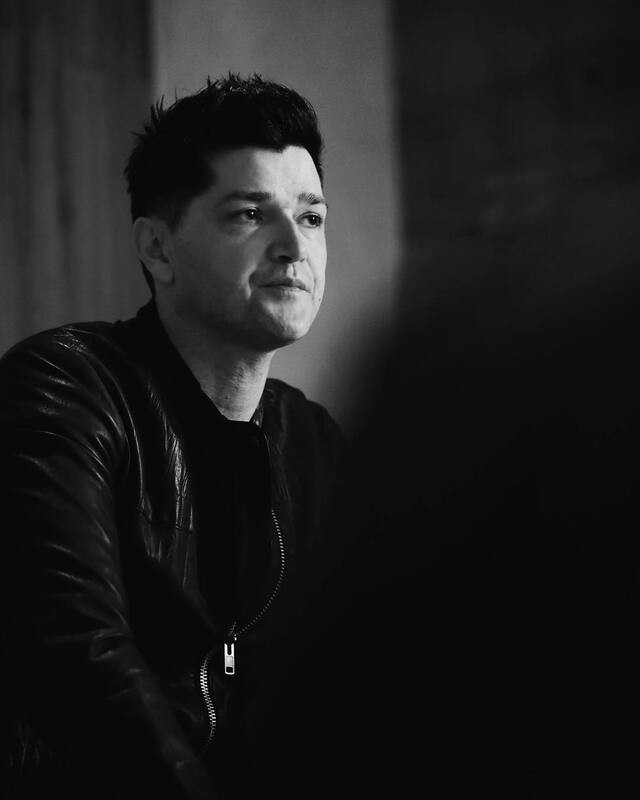 Because all the fans here like "The Script come on please come.." We got lot of fans here. You guys play and sing our music, you are online everyday to spread about us. We want to honor that by coming here. Q: What is the best moment or part or your favourite thing that happen in your concert? 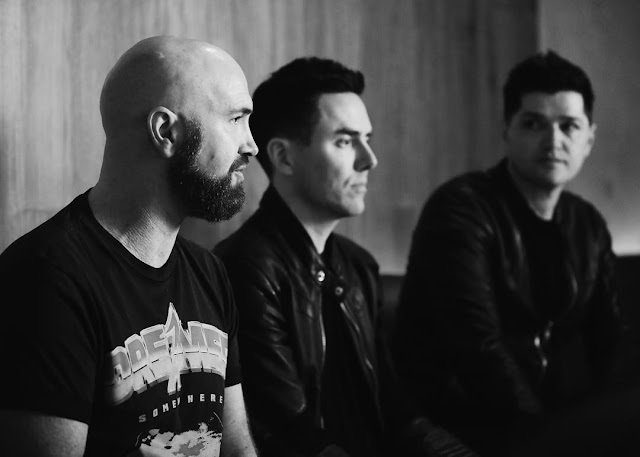 A: Everybody has their favourite song and it means something to them. We hope when they sing our songs they sing it from their heart. We like it when they sing our song. We love to interact with the audience. Q: Do you have any dream collaboration? A: We've been lucky in the past that we able to perform with our favourite people, from rappers to singers. Ed Sheeran, Sam Smith. The Script music really goes well with hiphop, Kanye West, Kendrick Lamar, it'll be a cool combination. With Will.I.Am is crazy, the song so popular. We would love to try different genres. 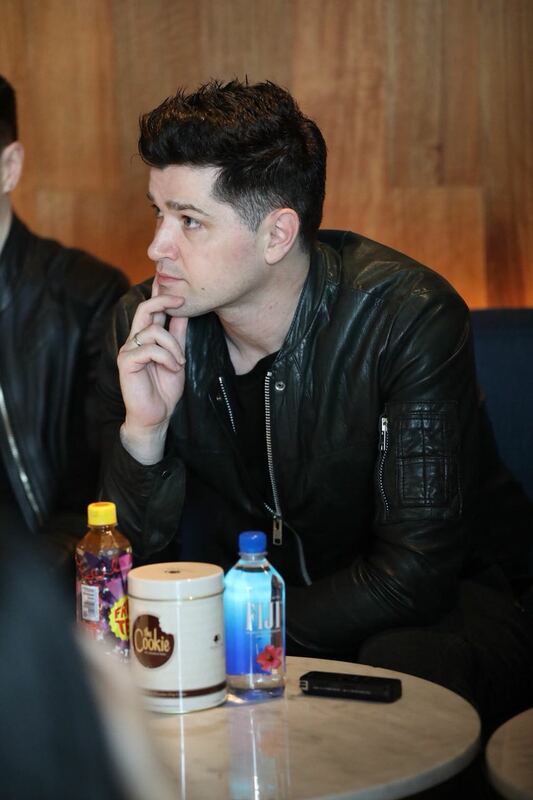 Q: The Script songs has inspired many people around the world, like Superhero, Wall Of Fame, etc. What message do you want to deliver? A: We think it's about being super positive. If you are going through a bad time, don't lose. We want to make you stronger. Our song is about extraordinary people doing extraordinary things. In Hall Of Fame we are not talking about people in the Olympics winning gold medal, we actually talking about teachers, people in the community, Priest, people who spread love and goodness, teachers, doctors, police, that's the reason we wrote the song. 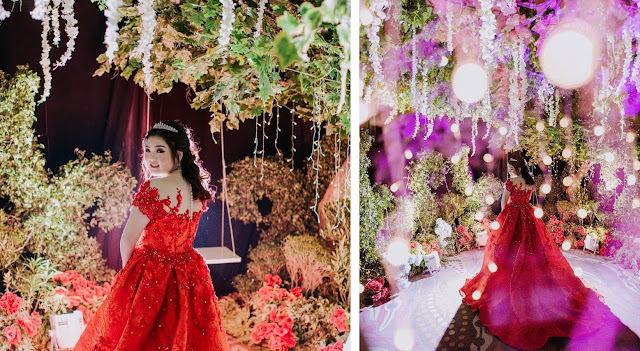 Syehren Natalia Sweet 17th Birthday in "The Queen of Fairytale"
Once upon a time in a fairytale land, lives a kind and beautiful girl named Syehren Natalia. She is loved by all her family and friends. For celebrating the princess sweet 17th birthday, her family hold an amazing and grand party. 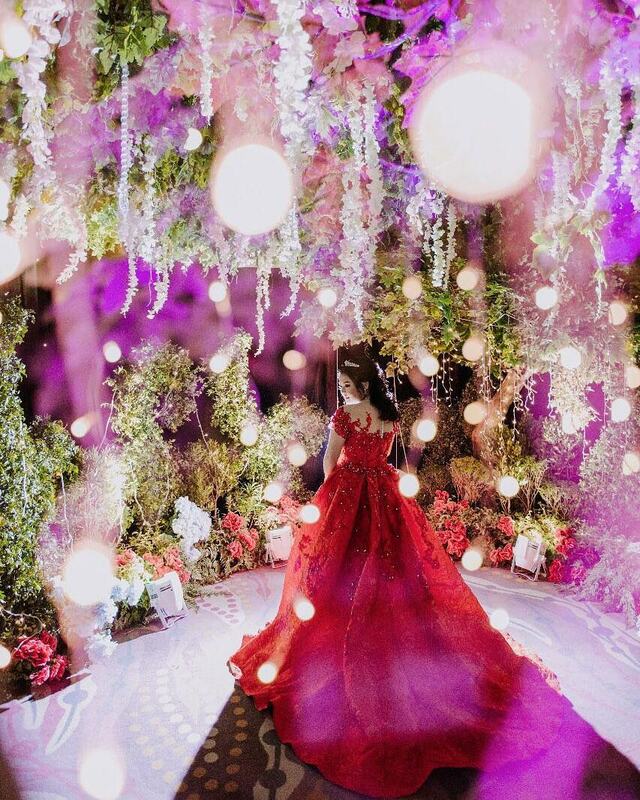 It won't just to celebrate her 17th birthday, but also to crown her as The Queen of Fairytale. 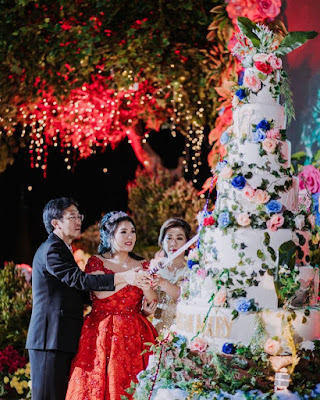 For the special princess, a big and grand castle complete with a luxury castle cake is standing tall in Ballroom Shangrila Hotel. And outside the castle, there is a very beautiful flower garden. 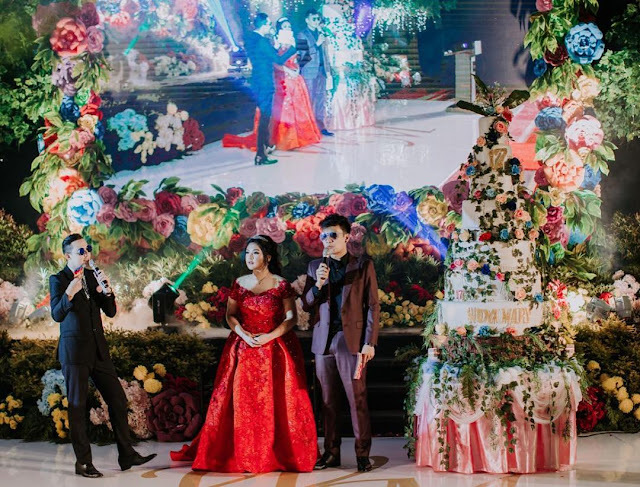 This party is lead by Edric Tjandra and Fendy Chow. After opening ceremony by The Angel Percussion, our princess enter the room escorted by 4 kingdom ballroom dancers. Syehren looks perfect tonight! And to add the excitement, a very special guest star is coming. He is Joseph Vincent! The famous International YouTube Artist from America. Joseph sing a special song for Syehren and also do a romantic duet with her. Disco time by DJ WW closing the party. All the guests are dancing until 1AM! 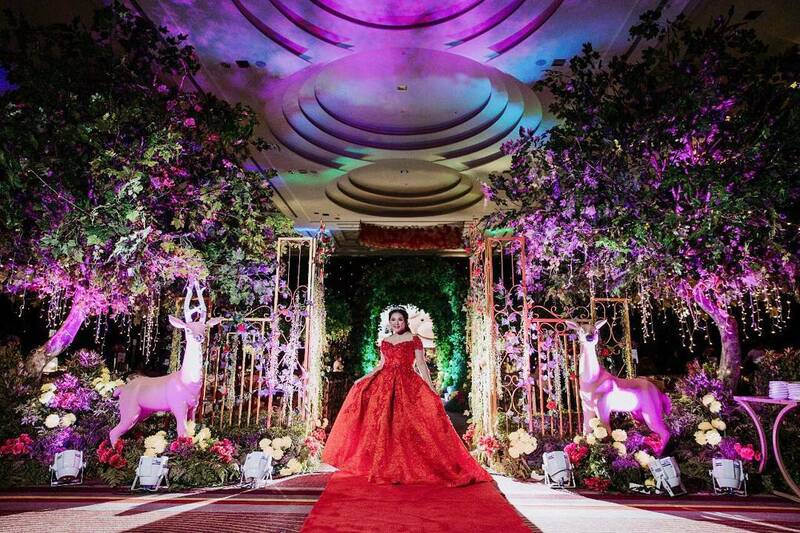 Really an amazing birthday party for our princess. Widya Mary Sweet 17th Birthday Party in "The Enchanted Forest"
To walk in nature is to witness a thousand miracles..
Our fairy is celebrating her sweet 17th birthday. Her name is Widya Mary. You can enter the magical enchanted forest by walking through the flowers path. Once you arrived, you can see lots of cute animals, flowers and a swing to play with. Elegant performance by ballerinas open tonight’s party. 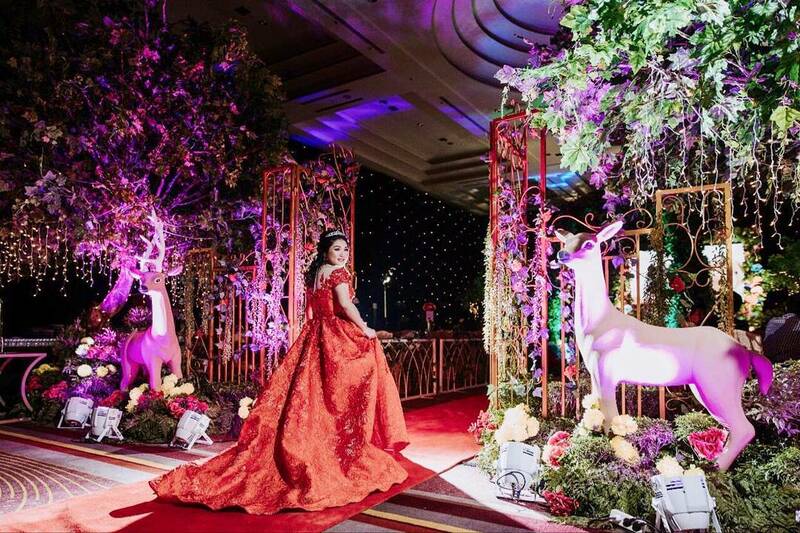 Widya enter the magical forest looking beautiful with a red dress by Cynthia Tan and a tiara on her head. 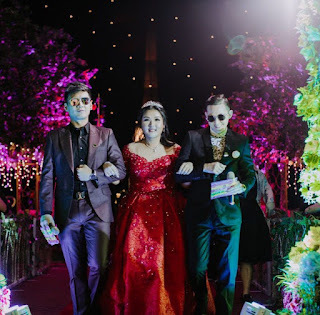 She is not alone, together with her are Fendy Chow and Nathan from Full Color Party Star. 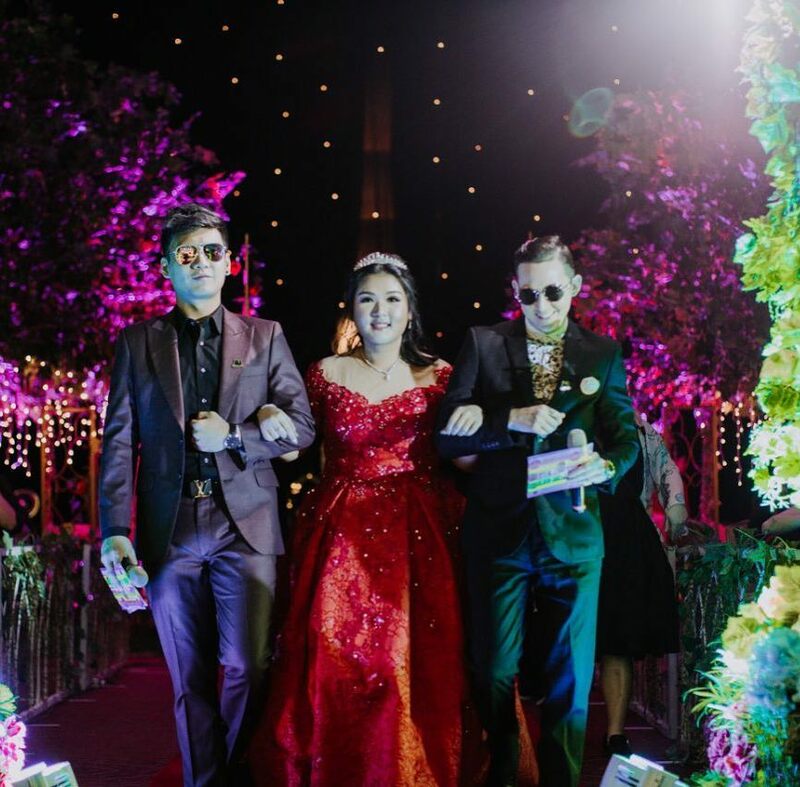 They walk through the flowers path and greeting all family and friends. The party continue with the candle ceremony. 16 of Widya’s best friends are on the main stage, each of them give their best gift and wishes to her. And then, the funniest fairy Bobby Tince come to sing a happy birthday song to her. Widya and her family together blow the 17th candle on the forest cake. Bobby Tince is not alone, she is also there with the squad, The Golden Boys. They are known for their comical look and act. With their appearance, they succedd making all the guests laugh together. They also play exciting games together. Widya has variety of prizes for the guests. DJ performance by DJ Josh complete the party, all guests are dancing together with Widya under the lights. No one can stop them from dancing. Really a magical dream party come true!